Many of my clients have some experience in magical work, and know exactly what to do when I tell them to dress a candle or make a doll baby. 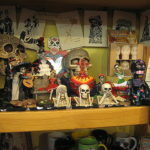 But when I prescribe work for them to do at home, I always have to ask: “Do you have a good botanica or candle shop near you?” Often, the answer is no. Then we must get creative and find our magical treasures wherever we can. Given the great number of good spiritual supply houses (such as Lucky Mojo, Conjure Doctor, and Papa Gee, to name just a few), why would you look any further? Because the making of spiritual supplies, and packing and shipping, take time. And you may not have time. Generations ago, I could have directed my clients to the local drugstore, which would have carried medicinal herbs and maybe even a few actual hoodoo-ready powders, oils and bath preparations in the back. Nowadays, though, the magic has faded from the drugstore, along with many of the herbs. Science has displaced them — great news for diabetes and pneumonia, but frustrating for Stop Gossip or Money Drawing. A few herbs are coming back into drugstores — as nutritional supplements and alternative medicines. The Rite-Aid near me sells capsules of echinacea (which we know as Sampson Snake Root) and Black Cohosh (which magicians also call Black Snake Root). I believe I have seen Coltsfoot there, too, which is a good “co-worker” for other herbs used for psychic perception or mental healing. Health food stores, of course, have a generations-long tradition of carrying herbal medicines and supplements in much wider variety, and they go far beyond bottles of capsules and pills. 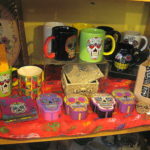 Mariposa Market likes to go all out for The Day of the Dead. Hmm, wouldn’t those little boxes make great sugar box spells? 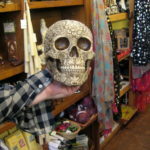 This was one of the most elaborate pieces, a carved resin skull, about life-size. They even had sheer black scarves with silver skulls all over them (there were gold ones, too). licorice root: used in controlling work. slippery elm bark: used to quiet quarrels, slander and gossip. marshmallow root: Another name for Althaea officinalis, long used to soothe and heal, and by magicians to attract benevolent spirits to the home. wild cherry bark: used in many kinds of love work. bitter fennel fruit: conjure folks usually use the seed (which would be found in the fruit), for protection, to keep the law away, and to strengthen the courage of women. cinnamon: widely used in many kinds of love, money and protection work, and as a spiritual cleanser. orange peel: a classic marriage herb, as exemplified in the long association between weddings and orange blossoms. 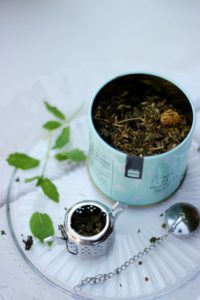 So, while you might buy a box of Throat Coat to make soothing tea during the cold and flu season, you can use it as a bath tea, a floor wash, a food additive (in very small quantities), and right out of the teabag as a candle dressing, to strengthen and sweeten your marriage as well as make it more egalitarian. Just about any tea containing gravel root (also called Joe Pye root or Joe Pye weed) to get a job. Yogi Breathe Deep tea to protect yourself spiritually, calm your mind, and assure sufficient income for your daily needs. There are many more possibilities than I have suggested here. The easiest way to discover them is to look up www.herb-magic.com on your phone, go to your drugstore or health food store and stroll down the tea aisle, reading ingredient lists.